Japan’s Prime Minister Shinzo Abe has launched work to build India’s first high-speed train in Prime Minister Narendra Modi’s home state of Gujarat.Mostly funded by a $17bn (£12.78bn) loan from Japan, the bullet train will run between Ahmedabad city and Mumbai. When the service starts operating in five years’ time, the 500km (310-mile) journey time is expected to be cut to three hours from the current eight. Mr Abe is making a two-day visit to India, a close ally of Japan. “My good friend Prime Minister Narendra Modi is a far-sighted leader. He took a decision two years ago to bring high-speed train in India and to create a new India,” he said, after laying the foundation stone on Thursday. The 750-seat train is scheduled to run from August 2022. Does India need bullet trains? India’s railway system carries more than 22 million passengers a day and much of the equipment is out of date, leading to frequent accidents and chronic delays. It is part of the government’s ambition to link major cities with high-speed trains, but critics say passengers would be better served if investments were made to improve safety on the current, ageing rail network. Supporters of the project say high speed trains will lead to improved commuter convenience, reduced congestion in big cities, more business, and improved infrastructure along the route. Mr Modi has promised to make vast improvements to the network, and the bullet train was one of his key promises in the 2014 election. It will travel a distance of 500km (310 miles), cutting the journey time from Ahmedabad to Mumbai from eight to three hours. There will be 12 stations on the route. The majority of the route will be elevated. A part of it will run through a 7km long undersea tunnel. It will have top speeds of up to 350km/h (217mph), more than double the maximum speed offered by the fastest trains running in India. 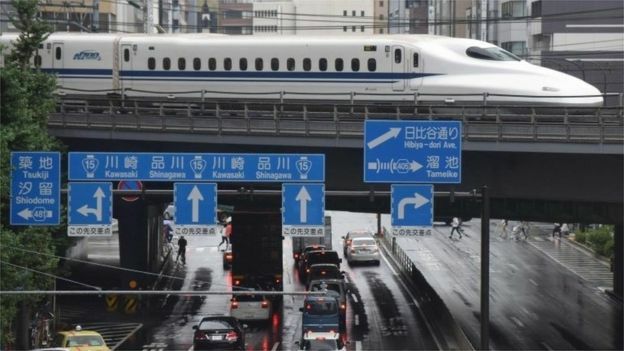 Japan is a pioneer in high-speed rail transport and some of their trains are ranked among the fastest in the world. “This technology will revolutionise and transform the transport sector,” Indian Railways Minister Piyush Goyal was quoted as saying by Reuters news agency. 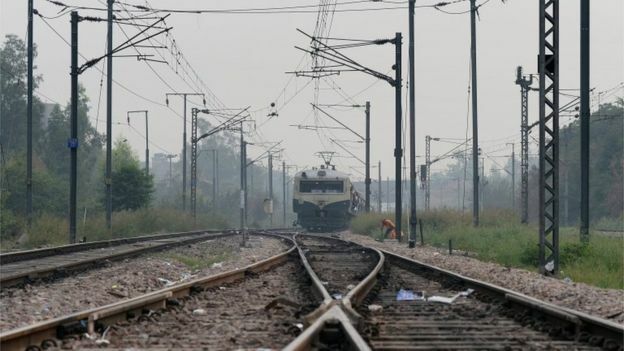 Mr Modi recently replaced his railway minister after a series of accidents, including one last month which killed at least 23 passengers in the northern state of Uttar Pradesh. A previous accident in the same state last November killed 150 people, while one the year before killed 39. Mr Modi and Mr Abe are expected to sign several agreements during the visit, and also inaugurate a Japanese industrial park. 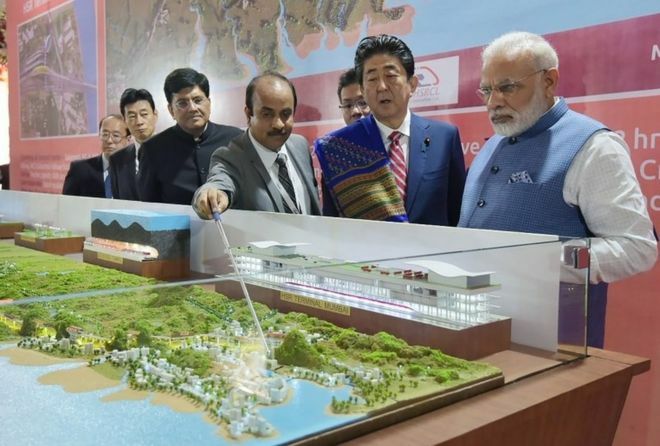 Gujarat already hosts Japanese automobile plants.The two leaders enjoy a close friendship – Mr Modi chose Japan as the destination for his first bilateral visit outside South Asia as prime minister. Both countries are in territorial disputes with China, and their close ties are seen by some as a response against China’s growing influence in the region. The above BBC news is about the very ambitious and much needed public transport project in Indian State of Gujraat, Mr Modi’s place! This will enhance the reputation of India further and a manifesto promise fulfilled.